Reservoirs are designed to provide the balance between the flow brought by the river which is high variable in time and volume of water. The storage required on a river to meet a specific demand depends basically on three factors; the magnitude and the variability of the river, the size of the demand and the degree of reliability of this demand being met. Several procedures have been proposed to estimate storage requirements. Critical period methods are those in which required reservoir capacity is equated to the difference between the water released from an initially full reservoir and the inflows for periods of low flow. In the presented study reservoir capacity-yield-reliability relationships are investigated for a single reservoir named Sami Soydam Sandalcık Dam. For this purpose, six design techniques (Mass Curve, Residual Mass Curve, Moran Probability Matrix Method, Hardison's method and Minimum flow approach) are used in determining reservoir capacity, monthly and annual mean flow data observed for a period between 1962-2013, of EIE-811 Suçatı Flow Gauging Station on Dalaman River in West Mediterranean Basin in Turkey are used as case study. For 0% probability of failure, the highest reservoir capacity resulted for methods Mass Curve, Residual Mass Curve and Minimum flow approach at the range between 814.22 to 852.74*106 m3 for draft equal 60% and at the range between 2043.4 to 2145.74*106 m3 for draft equal 80% by using the monthly data. On the other hand when high value of probability of failure (5% and 10%) are used for estimation, the reservoir capacity values were resulted at the range between 612.36 to 1154.74*106 m3 for draft equal 60% and at the range between 1443.42 to 2165.13*106 m3 for draft equal 80% for Hardison's method. By using Moran Probability Matrix method, the reservoir capacity resulted 1280*106 m3 and the interval was divided to 140*106 m3 for annual data 52 years. 1. Ağıralioğlu, N, Baraj Planlama ve Tasarımı, Su Vakfı Yayınları, 2001, Vol. 1, pp 246. 2. Linsley, R. K, Franzini, J. B, Water Resources Engineering, New York: McGraw-Hill Book Co, 1979. 3. Parks, Y. P, Gustard, A, A reservoir storage yield analysis for arid and semiarid climates, Optimal Allocation of Water Resources, 1982, 135, 49-57. 4. Silva, A. T, Design of the storage capacity of artificial reservoir, (Master thesis), Lisbon: Instituto Superior Técnico, 2010. 5. Aksoy, H, Storage Capacity for River Reservoirs by Wavelet-Based Generation of Sequent-Peak Algorithm, Water Resources Management, 2001, 15, 423-437. 6. Oğuz, B, Bayazıt, M, Statistical properties of the critical period, Journal of Hydrology, 1991, 126, 183-194. 7. Rao, Z, Moore, I. N, O’Connell, P. E, Jamieson, D. G, An Interactive Management System for Operational Control of Kirazdere Reservoir (Turkey), Water Resources Management, 2001, 15, 223-234. 8. 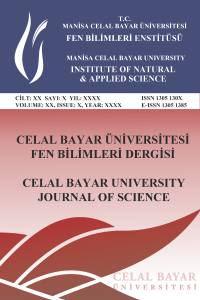 Bayazıt, M, Bulu, A, Generalized probability distribution of reservoir capacity, Journal of Hydrology, 1991, 126, 195-205. 9. Bayazit , M, Ideal reservoir capacity as a function of yield and risk, Journal of Hydrology, 1982, 58, 1-9. 10. Bacanli, Ü. G, Koc, A. C, Storage Reservoir Design With Moran Probability Matrix Method: Case Study of Yenidere Dam, Süleyman Demirel Üniversitesi, Fen Bilimleri Enstitüsü Dergisi, 2006, 10(2), 255-261. 11. Bacanli, Ü. G, Baran, T, Determination of reservoir capacities for Çine Creek using different methods, Pamukkale University Engineering College, Journal of Engineering Sciences, 2006, 12(1), 27-36. 12. Bayazit, M, Biriktirme Haznelerinin Tasarımı ve İşletilmesi. Istanbul: İTÜ Civil Engineering School Press, 1997. 13. Sawunyama, T, Estimation of small reservoir storage capacities in Limpopo River Basin using geographical information systems (GIS) and remotely sensed surface areas, Zimbabwe: University of Zimbabwe, MsC Thesis, 2005. 14. McMahon, T. A, Mein, R. G, Reservoir Capacity and Yield. Amsterdam: Elsevier, 1978. 15. Mcmahon, T. A, Mein, R. G, River and Reservoir Yield. Littleton, Colorado: Water Resources Publications, 1986. 16. Ripple, W, Capacity of storage reservoirs for water supply. Institution of Civil Engineers., 1883, 71, 270-278. 17. Gould, B. W, Statistical methods for reservoir yield estimation, Australia: Wat. Res. Foundation of Australia, 1964. 18. Montaseri, M, Adeloye, A. J, Critical period of reservoir systems for planning purposes, Journal of Hydrology, 1999, 224, 115-136. 19. Bharali, B, Estimation of Reservoir Storage Capacity by using Residual Mass Curve. Journal of Civil Engineering and Environmental Technology, 2015, 2(10), 15-18. 20. Hardison, C.H., Storage to augment low flows, in Proceedings of Reservoir Yield Symposium, 1965. 21. Nagy, I. V, Asante-Duah, K, Zsuffa, I, Hydrological Dimensioning and Operation of Reservoirs: Practical Design Concepts and Principles, 1 ed. Boston: Kluwer Academic Publishers, 2002. 22. Moran, P, A Probability theory of dams and storage system. Australian Journal of Applied Science, 1954, 5, 116-126. 23. Elektrık Islerı Etut Idaresi Genel Mudurlugu, T.C., Su Akımları Yıllıgı, 2011.